Mannat studio is bold and beautiful, brand new creative parallax one page WordPress theme built using famous twitter bootstrap 3 framework and theme offers you 12 awesome colour schemes. 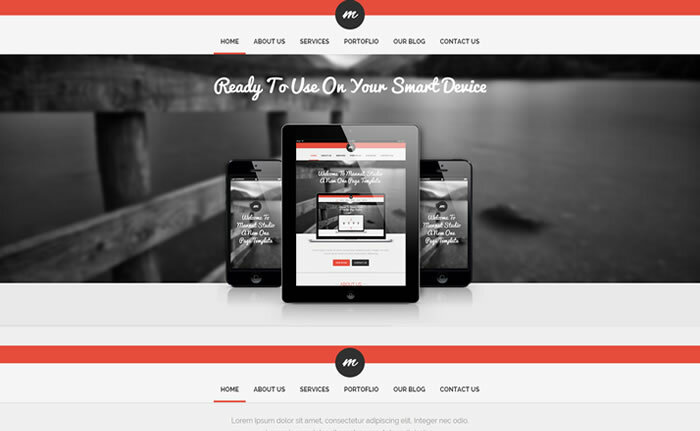 Suitable for creative agencies, portfolio, personal and one page websites. 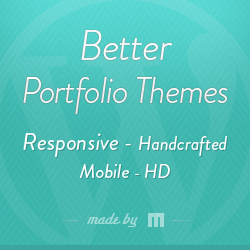 It has 4 beautiful header styles, 2 gorgeous slider variation and enabled with sticky menu navigation. Mannat studio is 100% ultra responsive, retina display ready parallax one page WordPress theme available with 5 layout variation and bundled with Visual composer ($28) drag n drop page builder, slider revolution ($18) premium WordPress plugin absolutely free of cost. Mannat studio has isotope sorting portfolio templates, blog templates and enabled with parallax background support. Its HTML5 / CSS3 valid, search engine friendly WordPress theme included with Woo flexslider jQuery plugin and integrated with PHP contact form.